A survey scam saying Malaysia Airlines Flight 370 was discovered by a sailor is nothing more than a scam. However, it’s merely just a cynical attempt to get people to click on the post, which redirects them to a website that is designed to look like Facebook. This is a common “bait-and-switch” tactic used by online scammers. After users are on the page, they’re asked to share the page first before going further–also a common scammer move. When that’s done, the page simply presents bogus surveys, which are how the scammers behind the website make their money. There’s no actual video. The photo used in the post is from the US Airways plane that crash-landed on the Hudson River in New York City in 2009. The Malaysia Airlines plane, which went missing in March, has not yet been found. Currently, there’s no search being carried out, but it’s expected to start up again. 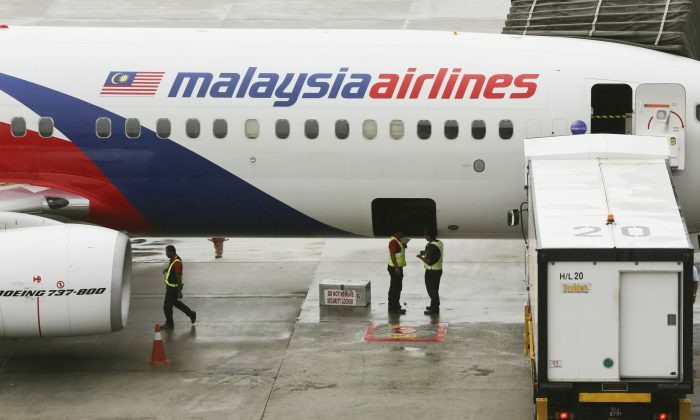 SYDNEY (AP) — Investigators believe the missing Malaysia Airlines plane flew on autopilot for hours before crashing into a remote part of the Indian Ocean, Australian officials said Thursday as they announced another shift in the search area for the jet. After analyzing data exchanged between the plane and a satellite, officials believe Flight 370 was on autopilot the entire time it was flying across a vast expanse of the southern Indian Ocean, based on the straight path it took, Australian Transport Safety Bureau chief commissioner Martin Dolan said. “Certainly for its path across the Indian Ocean, we are confident that the aircraft was operating on autopilot until it ran out of fuel,” Dolan told reporters in Canberra, the nation’s capital. But exactly why the autopilot would have been set on a flight path so far off course from the jet’s destination of Beijing, and exactly when it was switched on remain unknown. The latest nugget of information from the investigation into Flight 370 came as officials announced yet another change in the search area for the plane that vanished March 8 after taking off from Kuala Lumpur with 239 passengers and crew on board. The transport safety bureau said it made the assumption in defining the new search area that the crew was unresponsive, possibly suffering from oxygen deprivation, as the plane flew under autopilot. It said this was indicated by the loss of radio communications and the long period without any maneuvering of the plane. It emphasized, however, that this was only a working theory and did not mean that accident investigators led by Malaysia would reach a similar conclusion. A loss of cabin air pressure could cause oxygen deprivation, or hypoxia, which could make pilots unable to perform even basic tasks. The new search area is several hundred kilometers (miles) southwest of the most recent suspected crash site, about 1,800 kilometers (1,100 miles) off Australia’s west coast, Dolan said. Powerful sonar equipment will scour the seabed for wreckage in the new search zone, which officials calculated by reanalyzing the existing satellite data.